My 91 year old grandmother Anne-Maria L. de Windt Fernan joined me to be part of the cover of the well known Dutch health magazine in the Dutch Caribbean ABC islands of Aruba, Bonaire and Curaçao. I am dedicating this blog to her to highlight her strength, faith and support with my health and wellness career. She taught me how to stay strong during times of change and to never ever give up regardless where life takes me. She is a big reason why I am helping others believe in themselves, in their health and in their life. She inspires me every day to be the best version of myself and be my best self for my clients. 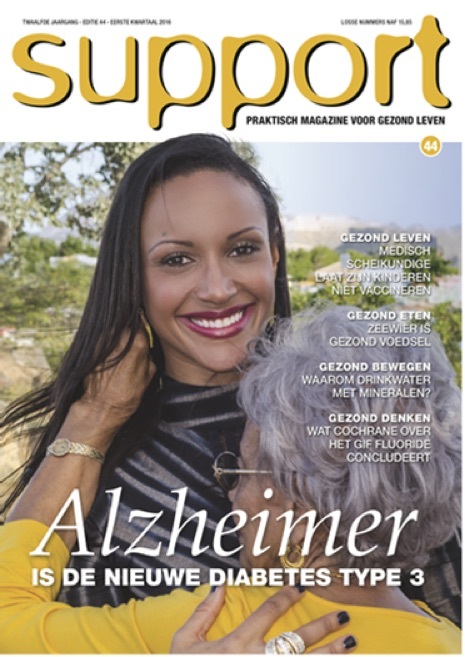 The feature on this cover page was for a Dutch Health Magazine called SUPPORT in the ABC islands of Aruba, Bonaire and Curaçao where I had the opportunity to discuss important health topics to influence and inspire my community to live a healthy and happier life. This reached to over 280,000+ people in these communities. I have been working with my business partner Rudolf de Wit, owner and editor of this magazine to develop several wellness projects for Curaçao in the last few years. We are both honored and excited for what’s to come to help others be encouraged, empowered and healthy. We are on a mission to create Curaçao Wellness Destination projects to make Curaçao the next wellness mecca of the world.